Each day, the victims to be guillotined were given numbers. In that order, they would be killed. Beautiful young mother of three, Marie Thérèse Françoise de Choiseul, princess of Monaco, was given #28. As Marie Thérèse awaited her gruesome turn, she felt ill and was told to go into an adjoining room and lie down. Looking around, Marie realized there was no one guarding her. Amazingly, she escaped and ran down the street. This was the second time Marie Thérèse had been saved from the Reign of Terror during the French Revolution. The first time was in September 1792. Marie and her three little daughters should have been safe, far away in Monaco, but they were in their Paris mansion. When she was taken to the prison, her noble brother-in-law, Honoré IV, king of Monaco, had been able to use his influence – and plenty of money – to get her released. The second time, a year later, in September 1793, she was not so lucky. The day Marie Thérèse escaped, Paris was in chaos. She made it to a convent in rue de Bellechasse; three months later, the convent was raided. 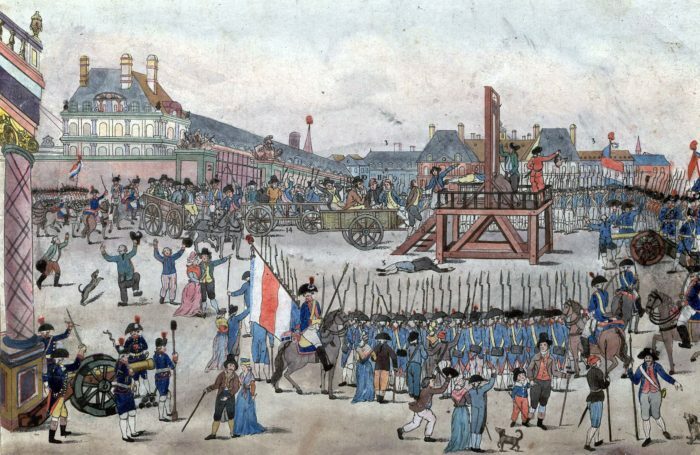 Marie Thérèse was back in the shadow of the guillotine for the third time. The Terror raged on. In prison, Marie learned that if you said you were pregnant, you would not be guillotined until the baby was born, or your lie was exposed. On July 25, 1794, when Marie Thérèse was told that she was to be one of the next day’s victims, she lied. That meant that she was admitting she had been unfaithful to Joseph, her beloved husband. That night, Marie Thérèse managed to wash her hair, and using a broken piece of glass, she cut off her long, thick blond braid, so that her daughters would have something to remember her by. The next morning, July 26, Marie confessed her lie. She was again given a number – this time, it was #42. She was to be the last victim of the day. And indeed, at 5 p.m. she was. But, unknown to Marie Thérèse, she was also the last official victim of the Terror to be guillotined. 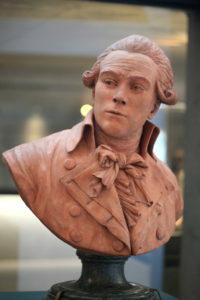 That very night, after midnight, July 27, Robespierre arrested. He was guillotined in the afternoon of July 28. The Reign of Terror was over.